Black Friday Deals on Photo Books, eBooks & Videos at Peachpit! Black Friday savings start nowâ€”shop early and save during our sale! Buy 2, Save 55% or Buy 1, Save 35% off list prices of books, eBooks, and videos. Enter discount code BF2016 during checkout to get this great offerâ€”plus, get free shipping within the U.S.
Now through May 6th, SAVE 40% on Photography Books and eBooks from Peachit using discount code PHOTO during checkout! Thatâ€™s right, Save 40% on my books and eBooks! 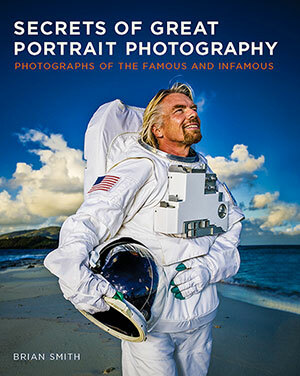 Secrets of Great Portrait Photography: Photographs of the Famous and Infamous draws upon the lessons Iâ€™ve learned over the last three decades photographing portraits of the rich and famous. The book blends lavish celebrity portraits of a coffee table book with technical how-to insights with a side dish of behind-the-scenes celebrity stories. Secrets of Great Portrait Photography takes you though all the stages of a portrait shoot from pre-production planning through posing your portrait through perfecting your shot in post-production. Loaded with details about three decades of portrait photography, each chapter of this 264 page book, is packed full of tips to successful portrait photography sharing all the details of lessons learned from each shoot. Get it NOW from Peachpit! 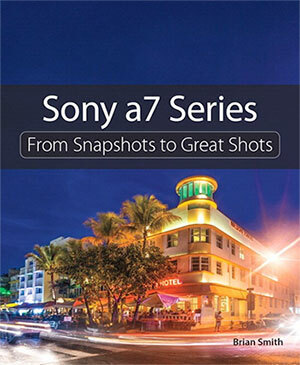 â€˜Sony a7-Series: From Snapshots to Great Shotsâ€™ is your guide to all of the Sony a7-Series cameras including the new a7RII. While the camera manual explains what the camera can do, it doesnâ€™t show how to use the camera to create great images with tips and tricks about getting the most out of your Sony a7 series camera! Starting with the Top Ten things users need to know about the cameras, author Brian Smith, a Pulitzer Prize-winning photographer and Sony Artisan of Imagery, carefully guides you through the operating features of Sony a7, a7R, a7S, a7II and a7RII and how to use them. Get practical advice from a pro on which settings to use when, great shooting tips, and assignments at end of chapter to practice what youâ€™ve just learned. Get it NOW from Peachpit! Enter Code: PHOTO to SAVE 40%!!! 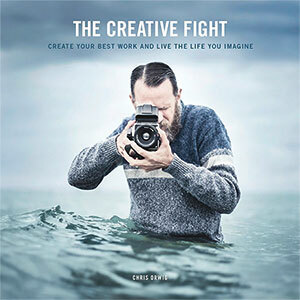 The Creative Fight: Create Your Best Work and Live the Life You Imagine Creativity is not a gift for a select few, but an ongoing process of growth and self-realization available to anyone who puts in the effort to pursue the spark. Chris Orwig offers a unique perspective on the creative process, showing you how to find meaning in your work, be inspired, and discover the life for which you were designed. Drawn from his 12 years as a faculty member at the prestigious Brooks Institute as well as his experience leading creative inspiration and photography workshops and speaking on global stages, Chrisâ€™s stories are designed to teach you how to discover your own creative voice. Get it NOW from Peachpit! 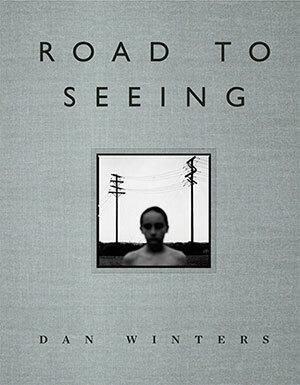 ‘Road to Seeing’ by Dan Winters is a MUST for every photobook collection. Dan shares his journey to becoming a photographer including key moments in his career that have influenced and informed the decisions he has made and the path he has taken. Though this book appeals to a broad photography audience, it speaks primarily to the student of photographyâ€”whether enrolled in school or notâ€”and addresses such topics as creating a visual language; the history of photography; the portfolio; street photography; personal projects; his portraiture work; and the need for perseverance, awareness, curiosity, and reverence. By relaying both personal experiences, Road to Seeing tells the reader how one photographer carved a path for himself, and in so doing, helps equip the reader to forge his own. Get it NOW from Peachpit! 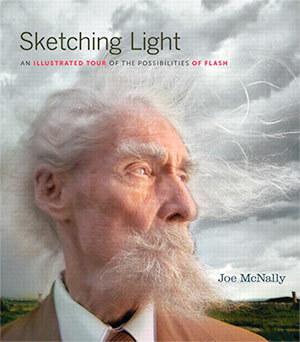 Sketching Light: An Illustrated Tour of the Possibilities of Flash Legendary magazine photographer Joe McNally takes us on another memorable trip into the land of light–but this time running the gamut from small flash to big flash, and everywhere in between. Loe tells readers what works and what doesn’t via his let’s-see-what-happens approach, he shows how he sets up his shots with plentiful sketches and behind-the-scenes production shots, and he does it all with the intelligence, clarity, and wisdom that can only come from shooting in the field for 30 years for the likes of National Geographic, Time, Life, and Sports Illustrated–not to mention the wit and humor of a clearly warped (if gifted) mind. 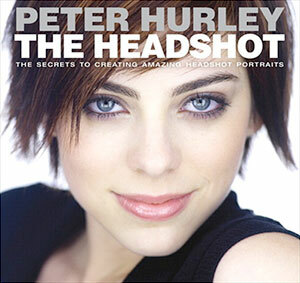 The Headshot: The Secrets to Creating Amazing Headshot Portraits. Peter doesn’t hold anything back. He reveals all his tricks of the trade, from his trademark lighting look, to how to create good-looking backgrounds on location, to positioning tricks you won’t hear anywhere else, and it’s all written in Peter’s fun, quirky, inspiring style that lets you know, right from the beginning, you can do this, and you can do this big! These are the techniques that Peter has crafted from years in front of the lens, as a model for top brands like Abercrombie & Fitch and Guess, and years behind the lens, giving him an insight few photographers will ever possess, and he’s willing to share every bit of itâ€”every trick, every technique, and every nuanceâ€”in this book that will pay for itself at your very next shoot. Yes, it’s that good. Get it NOW from Peachpit! 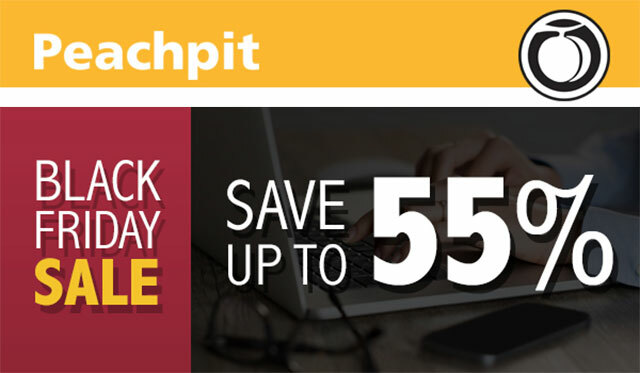 Save up to 55% on Photo Books, eBooks and Videos at Peachpit! Thatâ€™s right, Save 55% when you buy a pair of my books! Enter Code BF2015 to SAVE! Brian Smith, Pulitzer-prize winning photographer and Photography Book Now (PBN) juror, took a few minutes to talk with the Blurberati. Read on for his take on everything from the role of photography books past and present to which photography books he’d take along if stranded on a desert island. Insightful and funny, Brian tells it like it is. Blurb: What is the importance of the book to the history of photography? Brian: Since photos don’t look so good printed on cave walls, photography books are our history. Blurb: Why is there such interest in the photography books now, in the early 21st century? Brian: I think in a way the weakening of the traditional editorial market has created a niche to become your own publisher. Blurb: Who are some of the most interesting photography bookmakers and publishers today? Brian: I love books by Steidl, Tashcen, teNeues and Assouline, but honestly, I think some of the most interesting photography books today are self-published. Blurb: What three photography books would you take if you were stranded on a desert island? Brian: If I was felt like being lazy and kicking back, I’d simply take three copies of Helmut Newton’s Sumo and build a house out of it and call it a day. But assuming that the rest of the passengers of Oceanic Flight 815 had already set up camp, I’d start with Albert Watson’s Maroc and Cyclops, then add a first edition copy of Twin Palms Press Lost Hollywood that I found years ago while exploring Arcana Books on the Third Street Promenade in Santa Monica. Of course, I couldn’t leave behind Elliott Erwitts Personal Best or Irving Penn’s Passage or Avedon: An Autobiography or SebastiÃ£o Salgado’s Workers…oh wait, I’m starting to see why the plane went down. Blurb: Who is the photographer who influenced you most? Brian: I’d have to say Elliott Erwitt whose wit showed me that in a split second a photograph can capture a movement that will make you laugh for years to come. Blurb: What was the first photography book you bought? Brian: When I was in high school and just starting out, I came across Sean Callahan’s Masters of Contemporary Photography series of books about different photographic genres featuring the work of Elliott Erwitt, Duane Michals, Mary Ellen Mark, Annie Leibovitz, Paul Fusco, John Zimmerman, Mark Kauffman and Neil Leifer. I can’t remember if it was sold as a set or individually, but I do know I bought the whole set and studied each one cover-to-cover call it “Photo 101”.